The fifth World Internet Conference opened in Wuzhen of east China's Zhejiang Province on Wednesday. Huang Kunming, head of the Publicity Department of the Communist Party of China (CPC) Central Committee, read Chinese President Xi Jinping's congratulatory letter and addressed the conference. Huang, also a member of the Political Bureau of the CPC Central Committee, said President Xi's letter expressed China's sincere hope to build a digital world with other countries and showed China's wisdom in global Internet development and governance. Huang said each country's equal rights to development, participation and governance in cyberspace should be upheld. Innovation and creativity should be encouraged, he said, adding that integration in market, industries and technology should be accelerated. Huang called for more joint efforts to meet risks and challenges and to deepen cooperation in cyberspace security, development and governance. 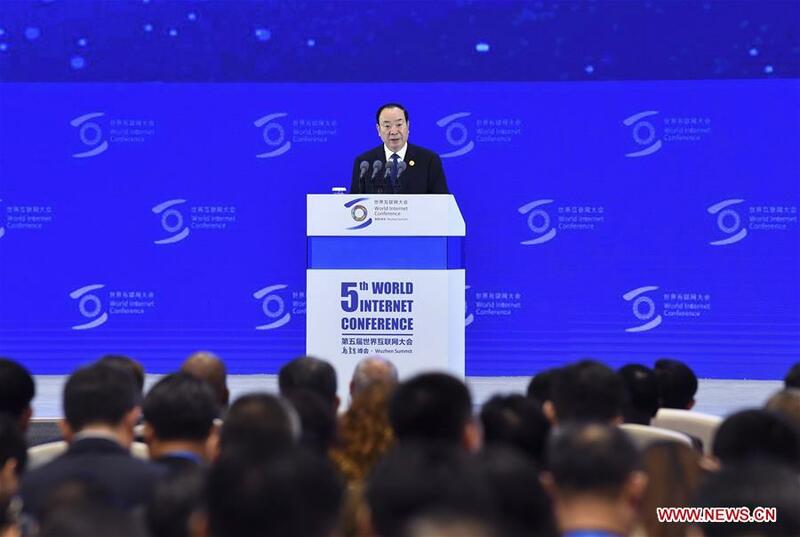 The conference, themed "creating a digital world for mutual trust and collective governance -- towards a community with a shared future in cyberspace," attracts around 1,500 participants from 76 countries and regions.